What do you mean by Jail breaking? Jail breaking process is simply a way to get through the restrictions and limitations imposed by the iOS operating system. After getting through this process users are capable to download apps, extensions, themes, etc. for their iPhone which are not available on the official Apple App Store. A user whose iPhone has undergone the jail breaking can still access the Apple App Store to download apps. Although jail breaking is not illegal in America due to its Digital Millennium Copyright Act, Apple has step forward and announced that any phone which has been jail broken will lose its warranty services. Most people think that jail breaking will ruin their device; the answer is a big NO. Basically these tools are fail proof and use simple processes. This alleviates the possibilities of rendering the device useless. Basically, the entire process is to provide a smoother experience for the owner the device and is applicable in all iPhones. Jail breaking process requires the use of a computer like a Mac, PC, or Linux system. Mostly it depends on the process you choose for how to jail break the iPhone, but it is advisable you do it from a person who have done it before. While searching and selecting a jail breaking tool, you need to take account of some considerations. Firstly, your selected tool must not be high priced. You might also find it for free from some developers. Never opt for the one that requires you to pay high prices as there are several other tools which are for free, and have the same effectiveness. Also, a good jail breaking program is the one that will operate in your desktop, requires some few clicks and provides a complete guide till the bottom. You can also check for its tools specification, updates in find budget phones here type of sites which provide tech related contents and reviews. If you are still unable to figure out what jail breaking is and what it does to your phone, in simple English it is basically cracking or exploiting of the features of an iDevice that will allow you to add functions and features which were not included with the development or otherwise restricted by Apple. Revised Digital Millennium Copyright Act allows the process and undertaking of jail breaking and had been legalized by the government of United States. Although Apple still restricts it and warns it customers with losing its warranty services in case a phone undergoes a jail breaking process. While it is unknown if any of the processes for jail breaking iPhone 5 have changed from previous methods for past iPhones, it could be great for anyone wanting to jailbreak the phone and learn how the process is done. Basically there are three ways to jailbreak the device – tethered, untethered, and semi-tethered. 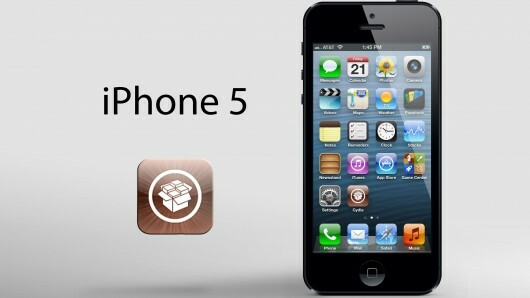 Usually programs that show you how to jailbreak iPhone 5 untethered are taken as the best. Jail breaking via Tethered process will require the device to be tethered to a computer, for the device to boot properly. It is because these devices uses Apple’s kernel which must be exploited for successful jail breaking. So, basically tethered jailbreak software will patch the kernel upon start-up, which means the device should be tethered for a successful boot every time. Untethered processes are more popular in jail breaking the iPhone 5 because the device can be booted without being connected to a computer which means the phone can be turned on and off without tethering. Semi-tethered processes allow the phone to function upon boot, but it does not have a patched kernel. Although modified codes will not run, but normal phone functions are possible. Jail breaking tools are a must for the phone to boot with a patched kernel. The Author is a technology enthusiast specializing in unlocking gadgets and has covered articles on an exhaustive list of topics including how-to’s on unlocking some of the most iconic products of all times.The authore recommends that in order to learn on how to unlock gadgets and phones you can find budget phones here and start learning without blowing a hole in your pocket.